In this guide you’ll learn how to watch Line TV in the UK in just 6 easy steps. 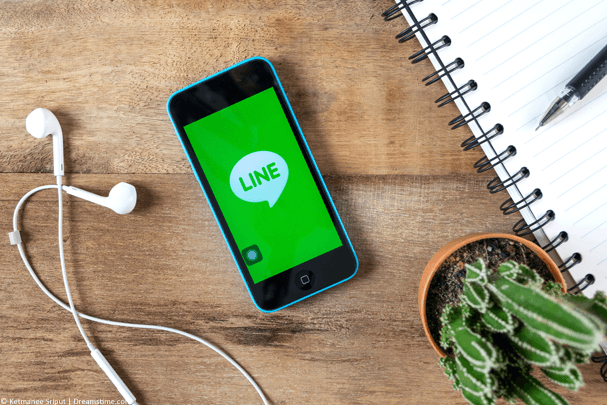 Line is the chat app that has taken Asia by storm in recent years and is one of the most popular chat apps in Thailand, Japan and other countries. As well as the app there’s also Line TV which broadcasts TV shows and networks from across Asian countries such as Thailand. If you’re Thai or Asian in the UK or you just love TV shows from Asia then you’ll want to watch Line TV in the UK. Unfortunately if you visit directly it’s blocked but below we’ll show you how you can unblock Line TV in the UK in just 6 steps. If you visit the Line TV website or launch the app on your mobile device and you’re in the UK then you’ll be blocked from watching. The reason you’re blocked is clear, you’re in the UK and not Thailand or any of the other Asian countries where Line TV is accessible. To unblock Line TV and watch from the UK or anywhere else in the world you’ll need to get yourself an app called a VPN. A VPN allows you to change your online location to appear somewhere else and they’re available for Android, iOS, Windows and Mac. Just follow the simple instructions below to use one. Click on one of the three VPN provider names above to visit their website. Sign up for their service. Download the correct app for your device from their VPN Apps area. Install the app, run it and login with the account details you created. Select Thailand and press Connect. Once connected launch the Line TV app or visit the Line TV website. In the example below we used NordVPN which connected in just 2 steps. When you’ve finished watching simply disconnect from the VPN app. You can reconnect in the future to continue watching Line TV at any point as long as you have a valid subscription. Line TV is an online TV streaming service that mostly shows Thai and other Asian TV shows. The service is only available in Thailand and a few other select countries. To watch it in the UK or any other country in the world you’ll need to sign up for a VPN service as explained above. Shows like Drag Race, The Face Thailand, The Follower, Be My Boy, Take Me Home and more are available to watch on the service. You’re also able to access full networks such as Ch3Thailand, WorkpointTV, one31, beIN SPORTS plus a whole host more. When you connect to the internet you’re assigned something known as an IP Address. This IP Address is a set of numbers that looks a little bit like this: 126.145.23.76. An IP Address is unique to you at the time of connection and helps the internet work by knowing whose requested what and where to send it. The downside to an IP Address is it also gives away your location. By checking your IP Address a website knows what country you’re in. This is how Line TV blocks you from watching when you’re in the UK or anywhere else outside Thailand where it isn’t accessible. 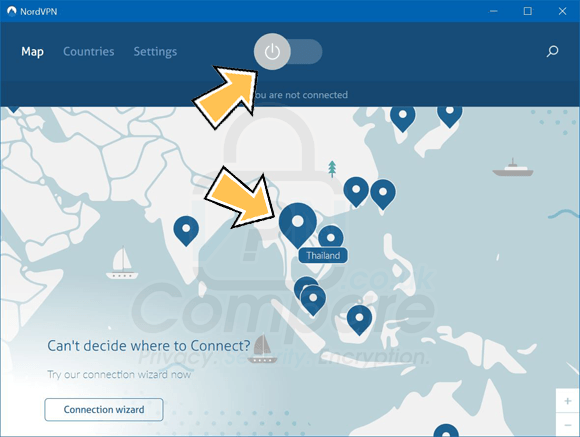 A VPN gives you a new IP Address that makes it look as if you are in Thailand. When you use one of the three VPN services above you appear in Thailand so when you visit Line TV rather than block you it lets you watch any shows, movies or live TV just as if you were in Thailand or any country Line TV is accessible. Yes, VPN services are totally legal in the UK, Thailand and most other countries around the world. They’re a legitimate tool to help you protect your privacy online so no one can snoop on what you’re doing on the internet. A feature of this privacy protection is to allow you to disguise your online location so no one can track you. It’s this location changing ability that enables you to watch Line TV in the UK or elsewhere in the world. If you want to watch Line TV in the UK or elsewhere in the world then it’s simple. All you’ll need is an app called a VPN that allows you to pretend you’re in Thailand which lets you stream all of Line TV in the UK or in any other country. You can get our recommended VPN for watching Line TV by clicking the button below and following the 5 simple steps from earlier in this guide.